1- It lowers oxygen consumption. 2- It decreases respiratory rate. 3- It increases blood flow and slows the heart rate. 5- Leads to a deeper level of physical relaxation. 6- Good for people with high blood pressure. 7- Reduces anxiety attacks by lowering the levels of blood lactate. 9- Helps in chronic diseases like allergies, arthritis etc. 10- Reduces Pre-menstrual Syndrome symptoms. 11- Helps in post-operative healing. 12- Enhances the immune system. 14- Enhances energy, strength and vigor. 18- Drop in cholesterol levels, lowers risk of cardiovascular disease. 19- Improved flow of air to the lungs resulting in easier breathing. 20- Decreases the aging process. 36- Cure infertility (the stresses of infertility can interfere with the release of hormones that regulate ovulation). 37- Increases serotonin level, influences mood and behavior. 42- Increased brain wave coherence. 43- Improved learning ability and memory. 44- Increased feelings of vitality and rejuvenation. 58- react more quickly and more effectively to a stressful event. If you need a point to start from, you should try guided meditation courses. They are inexpensive and can provide you with a good foundation from which to begin meditating. Make sure you meditate, there are quite simply too many positives to just ignore it. Have you already started meditation? I don’t know why I can’t sit still for more than 10 minutes. It’s really a challenge. My girlfriend can sit there like a silent princess for more than 60 minutes without any issue. Is meditation a girl thing? If not, how do I be more engage in this activity. Sometimes, I enjoy it very much. Sometimes, I find it a complete waste time. Any tip? initially its difficult but with little practice and determination you can attain your goal start with 5 to ten minutes then increase duration. Do not do meditation with your girlfriend it will distract you and you will not be able to do it for long. I think meditation has unlimited benefits, we may say that meditation is the “food” for our mind and soul. I have been meditating (so I thought since 2012) and it is only till recently that I said…. “OMG, Is this all because of meditation?” Yes, it is. I wish every school in the world encouraged a cumpolsary class on Meditation. I wish, every deprived society and area had NGO’s visiting them and giving a cumpolsary training. We will leave a better world for our Children. The list is so well framed and thought of. 1. Meditation is purely for human species as this are the species that struggling in life. 2. You may be a successful person in life but what is the definition of successful? Being able lead a balance life with 5 key elements intact: Family, Health, Work, Friends and Spiritual.If at the age of 90 you have all the 5 elements with you 100% perfect condition as how it’s started than you can call yourself a successful person. Meditation is the key to achieve and sustain the 5 key elements. What is the point of being millionaire if you bedridden, broken family, avoid by others due to your arrogance behaviour Meditation will help you to achieve your goals in this worldly life and yet it’s prepare you for the next journey. Change your thoughts and life will change, to change your thought mind should be purify and the only way is meditation. Make sure you find the right guru whom can guide you. If you are lucky you will find in a short period. you have to say Narayana before in each and every drink of water. drink 2 litre water daily saying Narayana. Note “Narayana is the name of Lord. thank you for this wonderful note,100 benefits are more behind the benefits series of meditation.people do not do bcz they think other people would laugh and it happens. thats y do mindful meditation. i am doing meditation from last one month.i feel myself more calm,peaceful,light,happy,enlighten,positive,focused.thanks. Very Helpful to aware to people about meditation……! i read all 100 benefits in the list. If meditation is such a powerful tool..than why all intelligent & educated people most of them ignore doing it..? what is the reason for those who once done meditation and not doing it now..? why our education system does not include in their curriculum or keep a subject in schools..? It appears that meditation is for those who born mentally weak.. & not for healthy persons. If i am wrong please correct me. I agree, the positive thoughts and energy allow us to see things in a different way, difficult situations can be solved gradually and finally everything has one solution less death. That’s a really good article, thanks for sharing all this benefits. For most of them i even didnt know it. This is such an exhaustive list of benefits of meditation. And yes, meditation has been such a blissful experience for me ! Hi there! Great article you have, I would also want to share my thoughts that Meditation indeed has positive effects not only in the body but also in the mind, a total holistic wellness that brings us to know our inner-self better. It gives us a peace of mind that helps us have a much better perception about our lives. 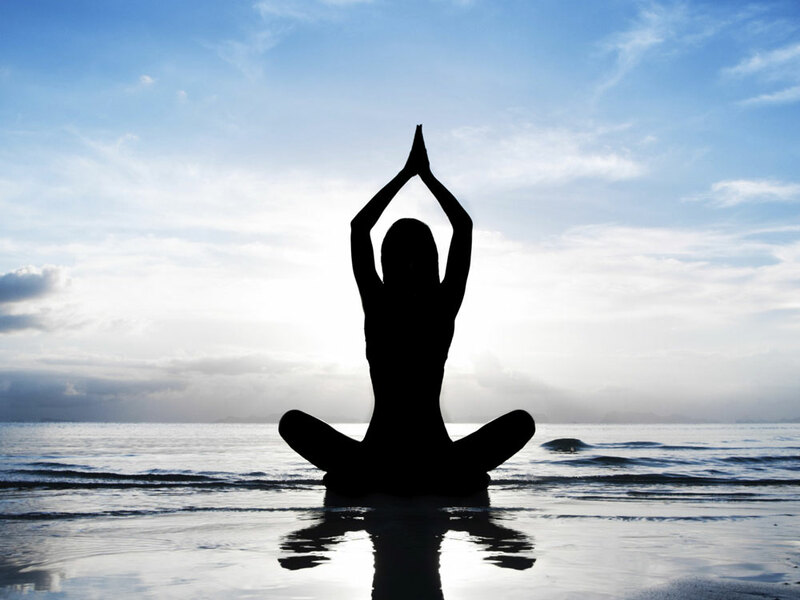 Our advocacy is to promote the positive effects of meditation, yoga and inner wellness. Wonderful!!! Let me start doing it to eradicate depression! will it be completely desappeared? Meditation is not an goal or achievement. Meditation has no seeking or desire. In meditation we become aware of our desires and goals. Meditation is all about being conscious and aware of our actions, thoughts and feelings. I used to meditate everyday it helps me to work faster as fast as I can I really appreciate the meditation.l request you to keep practicing meditation. Excellent information that will motivate people to reap the benefits of meditation. Meditation helps a great deal in understanding ourselves and can bring about a remarkable change in our total outlook. Well put together. I’m just getting started and hope to do it for 30 minutes at a time for the rest of my life. Meditation is the good for health so you have to do daily then realise the effects. FANTASTIC,PERFECT AND SUPER SWEET. ITS A LOVELY TRUTH.LOVE , PEACE AND HAPPINESS. KEY IS MEDITATION. are all these benefits scientifically proven? Meditation is definitely a yes and this post does it justice. How about some short meditations. as short as 5 seconds. Meditation offers amazing benefits for long term peace and satisfaction. Meditation is something I do often, not necessarily a requirement to mediate for hours, just 5 minutes here and there can translate into amazing Personal Benefits of peace and well being. I can’t begin to say how much better I’m feeling! Today was my first time meditating and I only tried it for 10 minutes and it’s very healing. I’m dealing with going thru somewhat of a bad breakup, amongst other daily life events and life started to become very convoluting for me. Then I stumbled across this website as a cry out for help and I must say that this is the answer! Meditation along with prayer is the panacea for me. I know once I meditate longer than 10 minutes, things will be that much better. Thank you for this site and the blogs. Positive energy is everything and helps gain peace of mind. Meditation offers innumerable benefits for your body, mind and spirit. The effectiveness of meditation comes from deep relaxation. When we are deeply relaxed, the body and mind are refreshed and revitalized. This brings many benefits that are both immediate and long lasting. If you wish to participate OshoNow programs, please do visit our website for more information. It was awesome. I just started to meditate today in morning. And found this article now. It will be fun doing meditation I think. Thanks for information. thanks for giving me a lot of information about meditation. now i have also started meditation and i feel in peace and much better. i teach you also to do meditation at least 30 mins.a day and you will be free from stress,anger etc. or any allergy also. This was a really very good info. Thanks. Yoga is the best exercise for your health and very nice benefits you shared with us. Meditation is very Powerful. and the Psychological & spiritual benefits of meditation is wonderful. Excellent list of 100 benefits of meditation!!! Bravo! I have been meditating since 1987. For many years after that, almost nobody in America was writing about meditation. Now in the last number of years, many people are writing about it. But so much of what is written now falls so short of what meditation can really do. They might write: “Meditation is good for anxiety” or “Meditation reduces stress.” And that’s all they’ll talk about. Your list of 100 benefits is great. Great job listing so many of the benefits. One of the best lists of meditation benefits I’ve ever seen. And as I’m sure you know, meditation has more benefits than those 100 on your great list. Many benefits are hard to measure (i.e. the positive effects on a cellular level) and some of them, I’m sure, are beyond our current ability to even understand. Regular meditation, preferably daily (or twice a day), over the long run… that’s when all these benefits really start to be realized. All 100… and even more. avinaya i dont know much about this power but i know one thing that in indian history you can see that there are so many great people born on the india’s earth who changed the so many things . And one can generate telekinetic power from meditation . You know Swami Vivekanand was the person who changes so many things by using this meditation power . Friends i m truely speaking to you that meditation is really a very effective thing and all the benifits that has written upper is right i have experienced them and at the moment you start meditating is the actual hilling of one self . This is the only solution which can change our society . Think if a person quit drinking and smoking then how he will be then his own life will be full of joys and happiness. Helpful information discussed.. I am quite delighted to see this particular post..thanks for presenting all of us wonderful material. Excellent walk-through. . These are some hell lot of benefits of mediation. Thanks for providing information on this. can we develop “telekinetic power” from meditation……….? Thanks for providing so many advantages of meditation. People can do it for their relaxation, comfort & positive energy. Thank you very much and looking forward for more informative articles in the future. Bookmarked! after reading your article i have decided to start meditating from today…….thx a lot..
Hi I’ve started meditating a while ago and I’ve found the benefits so amazing. Its for me the biggest and quickest way to relieve stress and to also let go of any negative emotions. Thank you. Meditation helps in every aspect of life, it even builds willpower because sacrificing 20 minutes or more a day just to meditate isn’t easy. This listing of meditation benefits simply make life feel so much easier to handle. I know people tend to want to medicate for various reasons but if they just took the time to invest in themselves, they could realize the great benefits listed here. Thank you so much, for the beneficial information about the meditation. The guidance given by you is really an advantage for us. Now a days a lot of people are getting inspired by meditation as it provides mental stability. Meditation gives a refreshment from our hectic schedule. Meditation destroys negative thinking and I know many people who are doing meditation. I just want to know that, is there any side effect like joint pain and muscle pain because of meditation or not. i like it very much………………………………………. I’m just sixteen years old and i first learned how to meditate from my wrestling coach it is very beneficial and it is good for many different reasons i use it mostly to fall asleep or to get away from stress!!! Great article! I love meditating… I even reposted this on my website (linked to here of course 🙂 ). It’s linked in my confidence program too! Thanks so much for the write up! When I meditate I automatically laugh out a lot after a few minutes even if I don’t want to. Has it happened to someone else as well or only me? This isn’t the case if I medidate without music, which I got from someone, this perticular one! and I ain’t trying to sell out this music! I am feeling useless, I try using hobbies to cheer myself up and hanging with friends but I feel like im on this earth for no reason, and I am now being homeschooled in 11th grade and my mom calls herself a failure for trying to even raise me, im picked on for being over weight and picked on for doing hobbies like guitar and stuff, im not even that good yet, yet people tell me ill never be good and I should give up. Sometimes I sit on the floor against my wall listening to music like Alive or Just Breathing to cheer me up and give me some faith, for long periods of time. I do not want to use suicide as a option, because my mom is thinking about it too, and if I go she would probably try too. Im thinking about maybe running away and trying to live a new life, im tired of sitting in my room doing nothing but wasting my whole life away, like im living for nothing, even though I try and get put straight back down. I feel all is lost in this world and anything I do is put to shame. Sometimes I question myself if life is even real, and if there is a god, even though I have lost believing in him many years ago. I see people saying do not kill yourself, you have alot to live for, but really I do not, I feel im going to live life being useless, and just decay away without being loved or wanted. I am feeling totally useless to the human race and wish I could hide away to my death. Hopefully meditating will soothe my mental confusion and put me on the right track I am going to try it as soon as possible, thanks for the list, it is just what I need. Thank you so much for your 100 list. I know, from limited experience, that it is true. My poor mind, conditioned from early childhood experience, to expect the worst in any given situation, fights me all the way in my practice, against surrendering its control over me, and so its survival as separate from me is at stake. It just doesn’t want me to sit in meditation. It’s part of me and I need to love it and treat it gently yet firmly. This is where I’m at, so far. One possible “side effect” is joint pain from sitting in certain meditation positions for extended periods of time, particularly for people with arthritis or other joint problems. This is easily fixed by learning new postures designed for people with such problems, such as walking meditation or sitting in a chair. This is a great list of benefits though. I used to have anger control problems, and after taking up meditation and martial arts, I am now very calm, both physically and mentally. I have become more productive and more creative. I can’t imagine going back to a life without those two activities. Kills Negative thinking.Develop sixth sense & can achieve our goal easily. For me some swamiji came to my mind while doing meditation. I wish you all to start meditation & help to global to develop positive environment. Today thanks to meditation i have been relieved of all these problems. I am more confident about myself and have a good personality. Nice to see not just the physical benefits, but in fact, an exploration of the mental and spiritual implications as well. Sounds good … but could you cite evidence that each of these benefits is, in fact, true? I think meditation is has unlimited benefits, we may say that meditation is the food for our mind and soul. I do meditation very often, I treasure my mind that’s why I give time for rest and make my brain calm. Meditation is good also in treating depression. I have become my own version of an optimist. If I can’t make it through one door, I’ll go through another door – or I’ll make a door. Something terrific will come no matter how dark the present…. You are still alive ?Awesome post. I want to know you !!!!!!!!!!!!!!!!!!!!!!!!!!!!!!!!!!!!!!!!!!!!!!!!!!!! Alternative medidine is really cool. I shooud star t using ths metod! Meditation has helped me mentally but physically I am still having symptoms of anxiety. Do we need to do meditation in morning ? I have lots of issues first i dnt have self confidence thats why i cudnt speak in public and i feel like i cant do anything in life as i am not confident. You can meditate at any moment of the day that fits you. It can certainly appease the anxiety caused by lacking confidence as well as help you feel better about yourself. is maditation helpfull for avoiding usless thought ? enjoying happy life? contro on my mind ? I have practicing buddhism meditation for around 5 years, and I found more great information from this site, keep posting. Going through this list reminds me of one of my blogposts. No doubt, the spiritual benefits of meditation can be so rewarding as duly covered in your post here. How I wish every human being could discover the enormous power within. a beautiful explanation my an Indian meditator. ONE OF THE RESULT OF MEDITATION IS INCREASING CAPABILITY OF CONCENTRATION. CONCENTRTION EMPWERING HUMEN PERFECTION IN EVERY ASPECT OF HUMEN LIFE, MATERIAL AS WELL AS SPIRITUAL. IT KILLS NEGETIE TENTENCIES. IT DEVELOP TOLERENCE AND UNCONDITIONAL LOVE. Well the post is awesome…..meditation is really helpful…. your listing of benefits is complete! I’ve been looking for something like this for a long time. With your permission I’d like to give this listing to the group I lead on Contemplative Prayer. It’s too good not to share…! Meditation is a way to tune our bodies, much like you would tune an instrument, the body and mind being our instruments. So the greatest benefit of meditation is the benefit of enabling us to fine tune and control the systems that run our lives. Don’t complicate a simple process practiced by man for thousands of years-forget all the trappings that the gurus recommend.Be simple in your approach to meditation:practice concentration,close your eyes and think of some high personage or the Master Christ himself.Start this daily for 15 minutes each time.I have also found that prayer puts you in meditation mode within a short space of time of seconds and minutes………………..
i hear about meditation everywhere. “it’s soo good for your body and mind”…blabla. i even believe them, but it is so damn hard to start it (i’m very lazy xD). on one side i think it’s very childish (don’t ask me why but i somehow have that feeling) and on the other side i really know nothing about it (what actually is meditation? do you have to sit or do u have to close the eyes? and so on). so: is there anywhere a beginners guide or something? What a great list of benefits. To the guy who was talking about meditation being dangerous, that is because some people don’t do it in moderation… most humans aren’t even capable of meditating that long. Hi friends, 2 years ago I was seriously affected by psychology defectiveness. I had great losses in business and relationship, I tried to commit suicide but I was brought to the hospital and saved. I then was under psychiatric observation, while a person was talking and looking at my condition which I was very weak physically and emotionally advised me to start meditation, I started meditating by then. I meditate as much as I can daily. Tremendous change in my emotional level and physical energy, within a year I quit medication. Now I’m healthy both emotionally and physically and having wonderful relationship with my family and friends. All the benefits listed above can be clearly seen in me now and I’m still continuing meditation. My advise every person should apply meditation in their daily life to have perfect balance and happiness in all matter. I have tried to meditate on and off for years and attended many retreats. I have recently started it again and this time i am loving it and getting all the benefits. I think i have stuck at it this time is because i have had no expectations (when sitting down on my cusion) but i have still had determination to put the effort into my practice. You do not have to be a spiritual guru to do this. Anyone can do it. I started it about two months ago as i was studying and working long hours at the same time. This increased my stress levels at work so i thought meditation would help reduce the stress levels. Meditation has reduced my stress levels and i have got many other benefits too. I am less reactive and i am more confident. I guess the negative self image is not so strong now. Anyway i have finished my course and i will still carry on, its too good to stop. I have been meditating since last 2 months and I found good changes in me; like I feel lot with energy. But second thing my hair loss is increasing day by day. What might be the problem? Meditation allows us to get back to who we really are, beneath all of the mind chatter and it enables us to find and sit with that infinite well or source of peace, love, compassion, patience and joy. As is mentioned above the benefits of “doing” this are manifold. Excellent list of benefits. I think there are even more. I use several energy-psychology techniques which can help clear resistance and bring me back to a state of balance and flow. These techniques always work better when you are able to learn how to allow you thoughts to flow and how to let go of them with acceptance and non judgement such as is required whilst meditating. Meditation is the ideal kind of training which enables these releases and freedom. The simple fact that so many people say that they don’t have the time or the patience to meditate underscores just how much they (we) need to find the time and space in our lives for meditation. I know that the time and energy I invest meditating returns multiplied. I’ve been meditating for about a year now and I’m a different person. I experience emotion differently than I used to. But in addition to meditating what really helped was this book called Where’s My Zen? It has principles to help you see the world differently. When I meditate I tell myself to keep following them. I found the book on amazon but if you google it you can download a pdf for free on the author’s site. Thanks for the thorough list of benefits, which is more than enough to encourage everyone to meditate. To master meditation, means to concentrate, prioritize, focus and control. The time for meditation is also important. I think a good time to relax through meditation is immediately after workout, which can help to recover faster and help all the benefits from exercising to sink in the body. I’ve been reading all the comments and i am very fascinated i am willing to give meditation a try, please i would like comments on how i could start if there is a required amount of time or if there are eBooks i could download that would help me reply would be most appreciated thanx. Meditation is you’re answer to the life you want. During your day, in between meditations, pay close attention to your feelings and thoughts – this will lead you to a happier life…seriously. And by the way, for those who questions that meditations “decreases aging process”… it does. It doesn’t “stop” our aging process, it SLOWERS it. Prayer is when we talk to God ! Meditation is when God talk to us ! Can anybody name a person below the sun, who would not be interested in listening to GOD ? No knowledge is knowledge unless experienced . can anyone tell me what is exactly kundalina syndrome ? do you feel it while meditating ? Great post, it really does put into perspective just how many benefits meditation brings. The word “Meditation” and “Medicine” come from the same root. “Medicine” refers to that which heals the body and “Meditation” refers to that which heals the spirit and the inner world. I think that if you can heal your spirit or mind then the body has a way of following. Therefore I think meditation is the most beneficial of all practices. That is really fascinating that you could find so many benefits with meditation, but meditation sure is the greatest way to heal the body and the mind and to live a healthy life. I sure love to meditate and feel so much more at peace when meditating on a daily basis. moderated	“meditation helps me a lot in Better mental focus, concentration and creativity. Less stress and anxiety and greater peace of mind.Meditation induces the relaxation response which reduces the occurance of pain, insomnia and headaches. meditation helps me a lot in Better mental focus, concentration and creativity. read the benefits of meditation,I follow Vedhathri Maharishi’s simple yoga techniques for last 6 years& it gives immense happiness ,meditation is the life line no doubt,kundalini has to be practiced under guidance then only one can experience,automatically it cannot be felt. Meditation truly is the key to healing. I began it all wrong–I watched youtube videos- read books, bought CD’s, attended a workshop and became utterly frustrated. My energy was always in a seeking mode. I finally realized that meditation is not about DOING it is about stillness and connection to the beautiful spirit that resides within. I agree your list of advantages are SO beneficial- and I have to add that everyone can meditate for FREE. 15 mins daily in silence pushing all thought aside and just floating on nothingness. I use this as tool to bring creativity to work as an illustrator and a writer. Thank you for this blog- fantastic! I LOVE this! I have been contemplating meditation for quite some time now – not for lack of benefits but lack of time. I am a freelance writer and work with site owners among many others so my time is so limited. I have a hard time clearing my mind and the last time I tried to meditate (about five years ago) I cried because I got so upset that I couldn’t. That was all after a very traumatic event so I am hoping that it works out better this time around. Thank you for sharing all of the wonderful benefits of meditation! meditation is very important in our life we can do any thing through meditation I am in deep depression in the year 1996 that time I was comeliting 11 day course of meditation at Igatpuri in maharastra in India since I am feeling normal life and I am doing meditation 10 to 20 minite naw I am feelling very fine. i understand the 100 benifits of meditation.since this would be the first time im gonna try,i hope i will realize the changes soon…but i have a doubt..will this meditation shows us the future?? As “John” mentions, there is one very serious side-effect of meditation that fortunately is extremely rare. It is called the “Kundalini Syndrome”, and is the premature release of a bodily energy that can be spontanously activated through meditation. meditation keeps everything control which i always feel in meditation time. YOU HAVE GIVEN SO VALUABLE THING WHICH CANNOT BE HAS IN PAYMENT OF LOT OF MONEY AND WE HAD IT FREE. tDHANKS AGAIN AND AGAIN. hOPE THAT SUCH TYPE OF ARTICLES WILL BE AVIALBLE IN FUTURE ASO. I have just started meditating and have begun a 5 week course. After only three days I feel calmer and more focused. I haven’t gotten angry or irritated which, considering I am a secondary school teacher is amazing. I have found my mind is less busy; it’s like the storm has finally passed. Meditation? I’m a convert. I practice Vipassana Meditation daily for 1 hour to 2 hours as time is permissble since last 3 months. I had taken thr 10 day course for my first kick start otherwise it is not possible to start without do it all alone and without motivation. I have been doing it daily basis sometimes I miss a day but its okay. In these 3 months I quit my alcohol addiction completly. Before doing this course I tried to quit the habit but it was all in vain. But now I am a changed man. I found myself highly relaxed after each session and it lasts for hours. I found myself my relationship with others have changed. I feel myself more energized and stress free. Now it is very easy for me remove unnecessary thoughts and focus on some point for some time for sure. I highly recommend to who is reading this just get yourself a good coach and start doing it a daily practice. Just keep in mind that as we do cleaning of our physical body by bathing everyday we should clean our mind everyday by practising meditation. It is the gateway to the heaven. tysm for this … i’m quite a fan of your blog because you’ve got some really good content here ! Can you forward this article to my e-mail ID? thanks for this website and thanks for all your valuable thoughts. After reading this i meditated for 16 minutes it is mind blowing. Excellent. Everybody needs to adopt the guidelines on MEDITATION. Excellent guidance on Meditation and its benefits.Especially in this fast world where stress is the order of the day,meditation is the only way to have peace of mind. ” High up above the mountains clouds gather and begin to shower rain upon the mountains. The pure rain that comes from the heavens above forms a pool or a lake which is crystal clear. If you look into it you will see your own reflection. But, unfortunately, the waters at the top of the mountain do not stay in their crystal pool but start trickling down the sides of the mountain in small streams. As these streams of water flow down they begin to meet one another and the stream grows bigger and bigger, gathering to itself soil and tiny pebbles. Rushing down the mountain, meeting other streams, picking up dirt, pebbles and rocks, becoming noisier and noisier it continues, till finally it reaches the plains as a mighty river, flowing at great speed, gushing to waste itself into the salty ocean waters and losing, at last, even its sweetness. In the same way, the mind in its essential nature is absolutely pure. But just as the water trickles down the mountain, the mind, drawn by the attractions and temptations of sense objects, trickles down from its pure, blissful nature towards transient pleasures. As it moves that little streak of thought becomes a mighty river, large with the quantity of thoughts, muddy in its quality. It will lose itself in the vast ocean of sense objects or subtle sense pleasures. We have to tame this river of the mind and bring it back to its essential source, its essential nature and experience the divinity reflected in it. The uphill climb may not be as easy as the downhill flow. First of all, it will have to give up all its heavy materials — the rocks, pebbles and mud. With this excess material eliminated, its quantity is changed and it cannot help but change its quality. When it reaches the top, with all its impurities removed it is crystal clear again and the infinite blue of the Heavens is reflected in its bosom. In the same manner, we must make a firm decision to lead the mind back to its source, its home, its pure state of calm and peaceful beauty. This must be a conviction. It must be a decision. Once we have given the mind a direction we should slowly and steadily remove all the impurities and excesses of the mind. All spiritual practices are performed to attain this condition of the mind. Meditation is one such practice that purifies the mind. When beginning on the path of meditation, it is not necessary to stop thinking altogether. The attempt of the seeker should not be to stop the thoughts, but rather, to divinise the thoughts, to change the quality and, to some extent, reduce the quantity of thoughts. At this moment our minds are full of agitations, worries, anxieties and emotions that create turmoil. All these tendencies or emotions that disturb the mind at the seat of meditation must be temporarily put aside”. I started meditating 10/6/1073 when I was 25 years old and I had some very beneficial results for 14 years. I made the mistake of quiting for about 11 – 12 years and I was floundering again and my life was empty. I started meditating again in 1999 or 2000 and I am even appreciating the meditation more than the first time around. I meditate morning and night from 10 – 20 minutes and it helps me live in the present. I meditate with Roy Masters meditation that is more of a Christian Judao meditation and I think it should be taught in schools at an early age. I love the fact that you have listed all the benefits and I am experienceing all those 100 benefits. All my bad habits have been easy to stop and I feel free. I don’t react to pressure anymore and I see clearly enough to handle every situation with calmness and patience. Thank you for listing all the benefits of meditation. So many people today try to lose weight or start a new business without realizing the first thing they need to do is get their mind right. Meditation is so important for us, but too few people are getting the word out. Thank you for your efforts. I feel lucky to have found these benefits of meditation as I have seen many changes in me ever since I’ve started meditating! This encourages me to meditate more often – constantly, of course. You guys have done an excellent work. This article is mindblowing. Now i know more of the benefits of meditation. Thanks very much. I read article daily, but this article is Very Good Article. Meditation changes my life in many ways such as develops self confidence, memory power and mainly remove my bad habits. I meditate almost every day, sometimes once a day, sometimes twice a day…. I noticed positive effects gradually…. Meditation saved my life. I will continue meditating every day… if it only helped me cut back on cigarettes. I’ve quit marijuana from meditating… Meditation is my “drug” that gets my high without the usage of marijuana. I have been meditating un aware of all these benefits i usually sleep well after an evening meditation, thanks for composing this atticle. As a longtime dynamic meditation practitioner (Silva Method) I am noticing lately that my ‘bad temper’ has undergone a big change. What I mean is, I am much less reactive and much more patient and understanding. Because I live in NY I can hardly walk out the front door without ‘getting into it’, if I choose to do so. Now I find myself pausing to say in my mind, usually at the point in a personal encounter where it is about to turn nasty, “is this worth fighting over?”, or “howzabout this person has stresses and challenges and, maybe we don’t need to slug it out on the bank line?” You see where I’m going? I don’t get that knot in my gut that comes from just having gone ten rounds with someone at the super market. And whoa… I don’t even need to be RIGHT about stuff anymore. Although I have also experienced deeper sleep, enhanced learning, and many other health benefits, this fresh perspective on human relations and how I might handle them in new ways..well, it’s golden! Hi there. I’m doing a report for school that includes benefits of meditation. I find your list interesting, but I was wondering where you got your information? Studies, perhaps? I would really appreciate your time in writing to me to let me know! Have a great day. 15- Helps with weight loss ? How? I always think meditation is a kind of spritual practice. How comes it can help to loss weight? This article is very informative and easy to read. Only shows how our body benefits from the wonderful effects of meditation. I m not right thinking n I have full of headche now, how it control so I choosen meditation, just today onwards started rajyoga meditation with net information n when ever I sleep the yoga will remember for long time and thats only I m not sleep well for right now with out any training I did, but I was saw in internet, thats only I did, is there any side effect na plz ans me plz plz then how it control my feelings, n thoughts. Plz help me.. Focusing on God or His Attributes would gives a better result.It is even better to use as the mantra.Additionally it becomes an important part of prayer or glorifying God which God Himself advocates.For People of the Book ,refer to all His Books such as the Old Testament/New Testament/THE READING/Palm ect.What can be better from focusing to God? So we should no look further to be calm and stress free according to the list you have provided.For me staying focus is the no” 1 benefit of meditation. Besides all benefits the biggest benefit of meditation as you said,its free from any special equipment usage,when you would have some practice you can meditate whenever and where-ever you could. I was searching about these benefits too,you did a great job,as no need to go further. In my opinion killing stress is the single most effective benefit,but as i am growing these seem to be endless. Its a great post indeed. Meditation related to Soul. Meditations promote health and prevention of many Diseases (eg: Hypertension,Mental illness,GIT diseases Etc). And Meditation to important for World Peace,Ecological balance and Prevention of Violence. When Meditating I Am Supposed To Concentrate. But What Am I Supposed To Concentrate On? Please Reply. You can try simply focusing on your breath, preferably on the outflow. Just listen to the sound, or if there is no sound, the act of attempting to listen will work. If it helps, you can count (softly, in your head) from one to ten, then back to one, one count on each outward breath. Let that breath entirely fill your consciousness. Remember, nothing really is meant to happen during meditation. Just relax, and focus on your breath. Just ‘turning up’ to practice is better then worrying about doing it right. Meditation can also allow severe injuries to heal properly and alot faster. whenever i did,i feel like heaven. Well, there is a downside to meditation…you will have to give up your illusions and attachments to the false. But, in time, that should be as straightforward as falling off the proverbial log. I've quoted your 100 Benefits on my Blog. Awesome article! Hi, I've quoted you on my blog. Awesome article! Brilliant selection of benefits. It truley is amazing how beneficial meditation is, and the fact that it requires nothing but your person to practice it. In fact that's how i found this website as they link to this article for the complete list of benefits from meditation. Anyway thanks for this and check the tunes i reckon they're ace. Silvermoon: The effects of meditation on the aging process have to do with DHEAS levels in the brain and increased amount of gray matter. Wow I always enjoy a top ten list, but this list of 100 is awesome! Reading this motivates me to keep up my practice of meditation. I'll be linking to this article from my blog as well – thanks! Now please explain how meditation is supposed to do that. Nope, i definitely do not support that one. You will continue to age, so far no one has been able to stop that process, not even meditation. The author lost credibility with that one. Increasing your DHEAS, melatonin, and serotonin levels on a constant basis while decreasing your blood pressure and cholesterol will make you live longer. The benefit's available of meditation are quite few while i think there are numerous other given in the blog. thank you so much for sharing your story….unquestionably, meditation can change lives! Friends i have felt the differences. The 100 benefits are really true. please try it and u will see the difference yourself. i always keep asking the question why people meditate and used to laugh at those who practice it. i have started meditating and i have experienced the differences in only one day. Today thanks to meditation i have been relieved of all these problems. I am more confident about myself and have a good personality. if u r a lonely person dont worry and start meditation. u will start loving yourself and others will love u too for sure. i have experienced it. u will have a cool attitude and a softness will be automatically created in your conversation. yes meditation is about self healing. If u really want to have a good personality start meditation. Trust me it will help you. ITS A GIFT FROM GOD. The KEY factor to take into consideration when practicing meditation is CONCENTRATION. If u dont concentrate when meditating it will be useless to do it. You wont be benefited. Excellent list, Ive been meditating for about a year now and I must say I support more than 50 of the benefits mentioned above. Though they forgot to mention many more benefits like LUCID DREAMING, LESS HOURS OF SLEEP AND WAKIN UP REFRESHED AND NEW. I must also admit I had side effects; OBE-Out-of-body experiences, can someone give me more info on how meditation is connected with OBE??? Dear Adri – I have similar symptoms and hope to relieve soon. I have attended a Meditation Technique course – Vipasana Meditation and looking forward for a complete cure. indeed…it's something that should be taught in elementary school IMHO. There is so much to gain from meditation that it should be primordial for EVERYONE to know how to go about meditating regularly. Thanks! I've not been meditating as much as i used to i'm starting back now. I must say its just as amazing as it was the first time. Plus all of the benefits that comes from it. I have been suffering form anxiety and panic attacks and since I have been meditating for 15mins. everyday the difference is incredible, I feel more in control and more peaceful and tolerant with the world. I know some of benefits of meditation, but this is the first time I see so complete benefits of meditation compiled in one article. Kundalini syndrome is a very real side affect of meditation gone wrong. Look into it before claiming Meditation has no downside. It exists and it destroys lives. I wonder wht else one needs apart from the benefits listed above. Daily practice of Meditation for about 20 min ( preferably number of minutes your age is) will make life joyful. Your perception changes and you will definetly become more energetic!! You can find much more simpler Meditation techniques which can be done anytime and at any place…for example…Anapanasati Meditation (discovered by Buddha) teaches that simple observation of breath with gradual cutting of thoughts helps one achieve the above listed benefits easily. U need no guru. Your Breath is Your GURU. I just found out about the important of meditation recently after reading about self healing. Meditation is one of the key elements for self healing. You give enough reason why meditation is important. Your blog makes very interesting reading. I’m sure others will think so too I look forward to reading their comments….